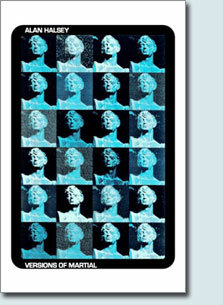 Versions of Martial offers a more generous choice of the Latin poet’s work than most translators allow. Alongside the familiar scurrilous and sometimes obscene epigrams Alan Halsey takes on aspects of the oeuvre which modern readers find deeply uncomfortable, particularly the poems addressed to the Emperor Domitian. These versions revel in anachronism and persistently refuse a fixed point of view: Martial is as often seen in Flavian Rome as in the England of New Labour and the Big Society, pointing up the mendacities of private wealth, promiscuity and poetry while quibbling with his academic editors and commentators. It sometimes seems that poet and translator don’t much care for each other but a little love-hate never goes amiss and they do enjoy a good spat. A sequence of forty 12-line poems Kelvin Corcoran and Alan Halsey exchanged in the winter of 2014-15: an extended improvisation on prominent themes in the work of Wallace Stevens. 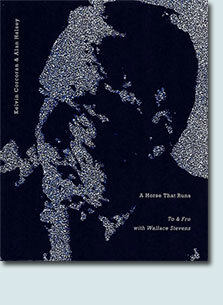 Neither homage nor critique the sequence addresses the authors’ often conflicted feelings about Stevens’ poetry and particularly the evident division Stevens made between his personal and professional life and his writing -- a division which perhaps all poets must make and question to stay moderately sane. Mathematician, scholar, astronomer, adviser to Queen Elizabeth I ... alchemist, occultist, heretic ... John Dee (1527-1608) is one of the most enigmatic figures in British history. 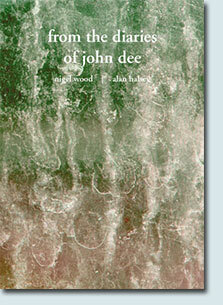 Using words and phrases from Dee’s diaries, Nigel Wood has constructed a series of poems that delve beneath the rumours and mythologies to offer a multifaceted portrait of a man seeking to understand the structure of the cosmos and his place within it. Accompanying the poems are visuals by Alan Halsey based on Dee’s transcriptions, charts and diagrams, his attempts to decode and interpret communications from other realms. 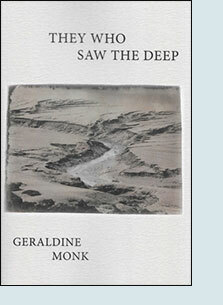 Together the texts and images undertake a series of parallel explorations of his life and vision. Poems & sequences from a remarkably prolific period of Griffiths’ work: Calendar Contents, The Great North Forest, Mid North Sea High, Quotidiana, Review of Brian Greenaway & Notes from Delvan MacIntosh, Scaffold Hill, Dialect Poems, Delvan’s Book, Satires, Star Fish Jail, Liam’s Song, The Secret Commonwealth, The Alien, The Coal World, The Lion Man, Amra Pamphlets 1996, Baldur’s Lacrimosa, Rousseau & the Wicked + 122pp of poems mostly uncollected or previously unpublished. Welcome to West House Books. Here we list the in-print books and pamphlets of poetry and poetry-related work we published during the active years of the press 1994–2010 as well as titles we continue to produce under the Gargoyle imprint. 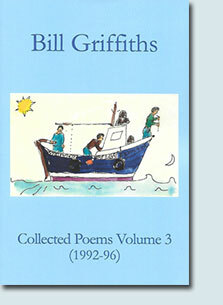 Also listed are books we distribute for other publishers and our stock of publications by Bill Griffiths. You can find out more about us and also order books here. If you live in or are visiting Sheffield you’ll find our books on display and for sale at Next Chapter Books, 7 Rustlings Road, S11 7AA.